Congratulations, George. I'm sure it is one that will go on my list to read. I love the photo you included. The clouds have a godly or alien quality to them. ^_^ Clouds always fascinate, like when I was a child, I look into them trying to see what shapes and figures I can find. It's good to hear from you. Hope you enjoy your weekend. 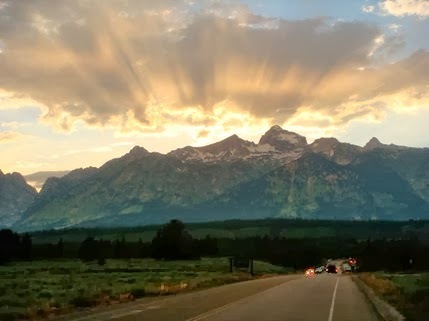 Thank you Sherry, I took that photo during a trip in Wyoming near the Tetons. I remember how the clouds looked heavenly with the sun shining at just the right angle behind the mountains. I thought it was a perfect image for my book.